In a 2017 interview, Microsoft founder Bill Gates recommended taxing robots to slow the pace of automation. Funds raised could be used to retrain and financially support displaced workers. Up to 47 per cent of US jobs are at risk by advancements in artificial intelligence. Low-wage workers currently hold a majority of these at-risk jobs. Increased automation is likely to exacerbate income inequality. While changes in employment due to automation are not new, advances in artificial intelligence are threatening jobs at a much faster rate than historic automation ever did. There are those who argue that automation will create new jobs as it eliminates old jobs, resulting in no aggregate job loss. However, even they admit that those who lose jobs are not likely to be the same people as those who get the newly created jobs. New jobs are likely to go to highly educated workers. Accelerated automation presents two problems: a revenue problem and a human problem. The revenue problem exists because the tax system is designed to tax labour more heavily, as labour is less likely to be able to avoid taxation. Capital investment, on the other hand, is taxed more lightly because capital is mobile and can escape taxation. When capital becomes labour, as in automation, the bottom falls out of the system. The human problem is that most people need income from working to survive. Some scholars have advocated for a governmentally provided universal basic income (UBI). In theory, taxing robots could provide revenue for a UBI, although any source of revenue would work just as well. While this would solve the survival problem, humans need more than basic survival. Working also satisfies the human needs for social connection and self-esteem. Of course, automation is not all bad. It has relieved humans of back-breaking (and sometimes boring) work. Moreover, automation can have environmental benefits. Automation is already having an impact on the overall efficiency of the goods-movement system, cutting both costs and energy demands. For example, self-driving vehicles may put human truck and taxi drivers out of work, but could significantly reduce greenhouse gas emissions from transport. Automation could deliver up to 15 per cent in fuel savings by maintaining optimal speed and avoiding excessive stop-and-go or idling. Thus, policies need to be sensitively designed to assist human workers without stifling automation’s benefits. When considering how to tax job-replacing robots, we should think about the broader purpose of a tax system. Taxes raise revenue, but for whom? The informal title of the most recent US tax bill gives a clue: The Tax Cuts and Jobs Act (TCJA). At least in terms of political rhetoric, the tax system serves people. If the US tax system exists to serve the American people, it should not lead to unemployment. The Tax Cuts and Jobs Act significantly cut the US corporate tax rate, from 35 per cent to 21 per cent. Analysis by the conservative leaning Tax Foundation found that cutting the corporate tax rate to 20 per cent would have the effect of lifting wages by more than 2.5 per cent. This would create more than 587,000 full-time equivalent jobs. According to the Tax Foundation, combining the corporate rate cut with full expensing for capital investments, including the purchase of robots, would increase the number of jobs created to 861,000. However, when White House economic adviser Gary Cohn asked a group of corporate executives whether they would use the tax cut to increase investment, hire employees or increase wages, no one responded. Analysis by Bloomberg found that corporations plan to spend up to 60 per cent of the tax cut to buy back shares, rather than hiring employees or increasing investment. While the policymakers behind the corporate tax rate cut hoped that jobs would result, strings could have been attached to make sure that jobs were created. Instead, The Tax Cuts and Jobs Act increased tax benefits for purchasing equipment (which would include automation), significantly enhancing bonus depreciation. Thus, instead of creating jobs for people, the new tax legislation continued and deepened the existing tax bias towards automation. Restoring realistic depreciation schedules that would require spreading deductions for equipment over its useful life would help reduce the disparity in tax treatment between labour and capital. 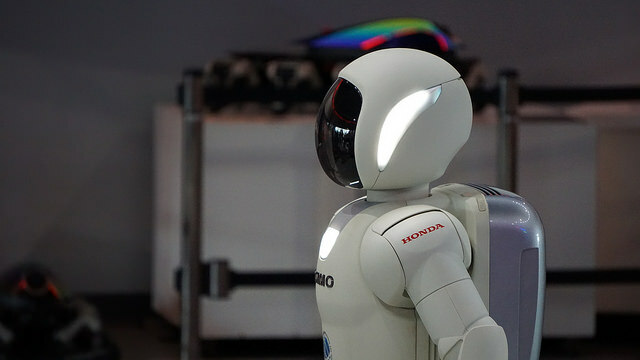 From an employer’s perspective, robots have certain advantages over humans. They don’t call in sick, they don’t have affairs with other employees, and they don’t need a retirement plan. What can be done with workers whose jobs are made obsolete by automation? Retraining is an obvious answer. Although many jobs can be automated, for now some jobs are unlikely to be fully automated. Manual non-routine jobs, such as caregiving for small children or the elderly, are not likely to be automated. But not all people whose jobs have been eliminated by automation are suited to such work. Cognitive non-routine jobs, like creating advertising campaigns, are also unlikely to be automated, but they require education. Rather than hoping that tax cuts would create jobs, policymakers could act to provide meaningful work opportunities and to incentivise private employers to use humans, rather than robots. In Sweden, job security councils funded by employers find jobs for 85 per cent of displaced employees within one year. Their goal is supporting workers, not saving jobs. In contrast, in the US, coal workers are refusing retraining, relying on statements by President Trump that he will bring back coal jobs. So, should we tax robots? Not necessarily, but we should consider the human cost of automation, and design tax policy appropriately. The tax system should provide adequate revenue to fund retraining and education. Penalising automation, which has provided society with many benefits, is not the answer. This piece is published in partnership with Policy Forum, Crawford School and the Asia and the Pacific Policy Society’s website for policy analysis, debate and discussion. Roberta Mann is the Mr & Mrs LL Stewart Professor of Business Law at the University of Oregon School of Law. She teaches and writes about tax law, with a particular emphasis on how the tax system affects the environment. 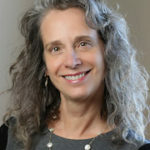 Professor Mann served as the only tax lawyer on the National Academies of Science committee studying the greenhouse gas impact of the Internal Revenue Code. She is active with the ABA Tax Section, the National Tax Association, and the Portland Tax Forum, and regularly speaks at the annual Global Conference on Environmental Taxation.